With more than 12 years of experience, more than 3,000 satisfied customers, and an extensive service menu, Naples Ft Myers Home Inspections is truly your one-stop shop for all your home inspection needs. Our owner/operator is licensed and insured as both a home inspector and a mold assessor. He loves helping people just like you learn all about their prospective new home! We include several extras with each complete Home Inspection, including a 100-Day Limited Warranty, Visual Mold Inspection, Chinese Drywall Inspection, Pool & Spa Inspection, Septic Inspection, and Water System Functionality Test. Before you finalize any deals, it’s imperative to ensure the house you’re interested in is in its promised condition. That’s where we step in. We will perform an in-depth inspection and provide you with a thorough, easy-to-understand report. To learn more about each service listed below please visit our Service Menu. Please note that pricing is based on the size and location of your property. For example, condo and townhouse inspections start at only $210. Single-family home inspections start at $225. A Wind Mitigation Report is only $55 when coupled with a Complete Home Inspection. Discounts are offered when you schedule multiple inspection services at one time. View our Pricing Page. We understand that buyers and agents need quick access to home inspection reports. We will email you login information so that you can retrieve your report by logging in on our website. This makes it easy to check your report online from anywhere in the world. Your report will also include access to HomeGauge’s Create Request List™. You’ll be able to build your home repair addendum and any project lists without needing to copy and paste anything! 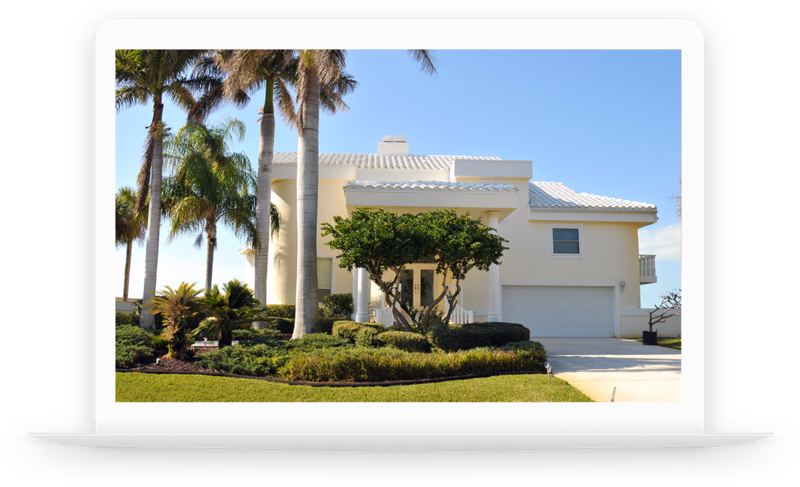 When you choose Naples Ft Myers Home Inspections, you’ll work directly with our owner/operator. As a 38-year resident of Southwest Florida, he is very familiar with the specific needs of home buyers throughout Lee and Collier Counties. We’ve also built our business practices around making your life as easy as possible. Calls are welcome from buyers any time – even if it’s been years since we inspected your home! Veterans and First-Time Home Buyers receive a free Wind Mitigation Inspection! We’re proud to be a home inspection consumer advocate for home buyers throughout Lee and Collier Counties. Cities within our service range include Naples, Bonita Springs, Estero, Ft Myers, and the surrounding areas.